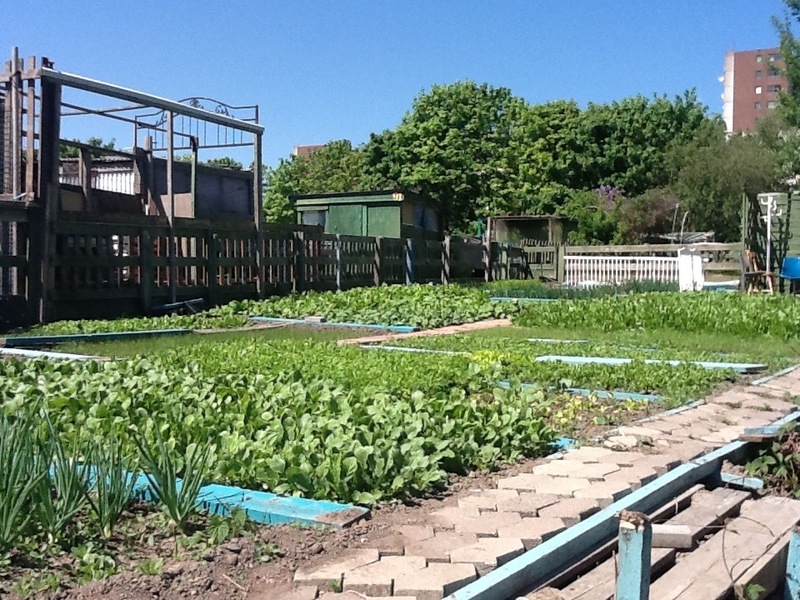 Fittja has a garden allotment program for residents. 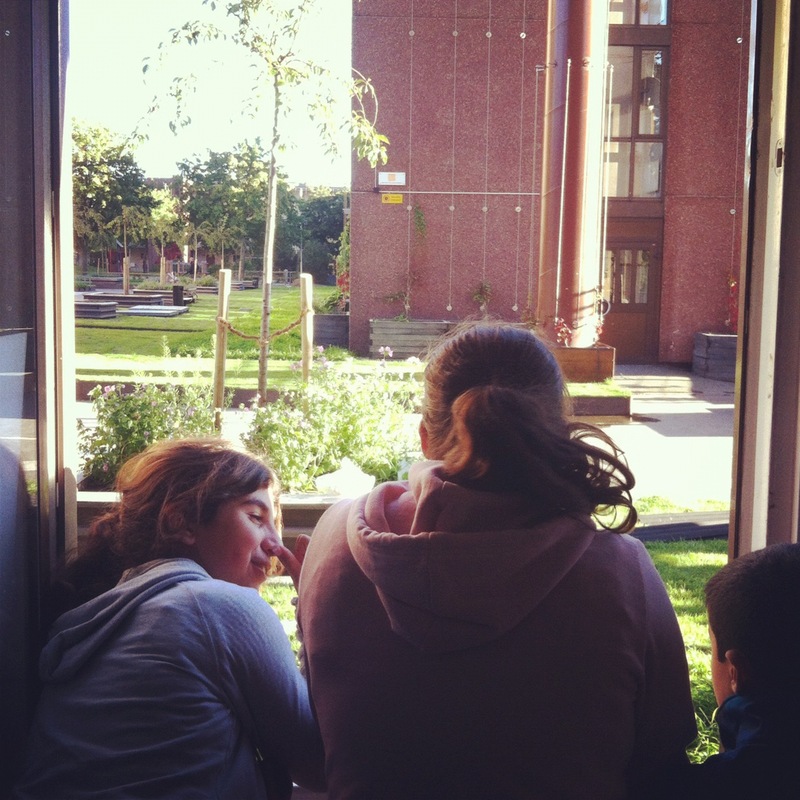 Residents apply for a plot, then wait three to six months until one becomes available. 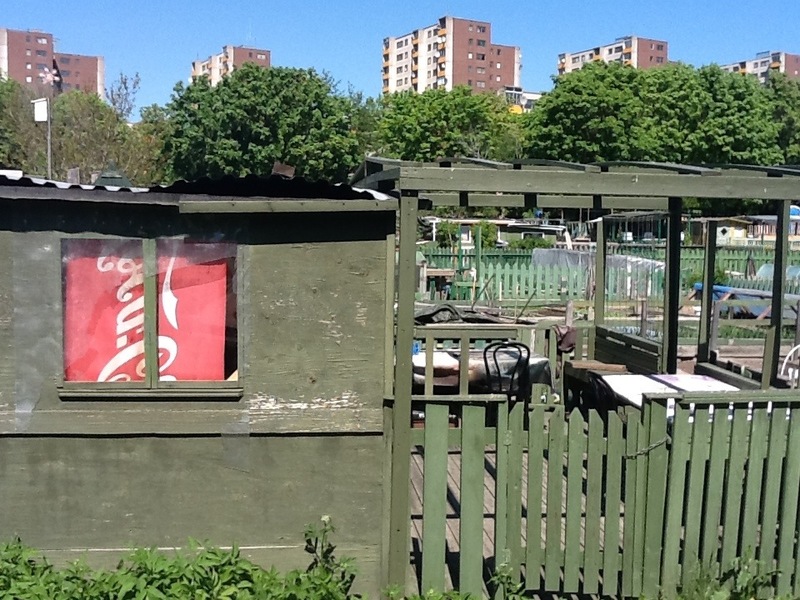 The gardens are rented for a small fee, typically 1000 or so Swedish Kronor per year. 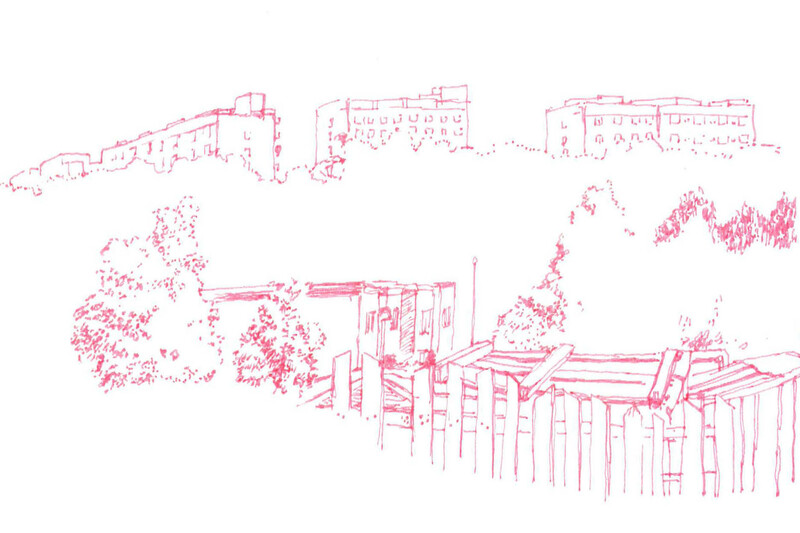 Residents can then farm, build fences, and make the small houses on each plot that hold tools and materials for gardening, socializing, and barbecuing. 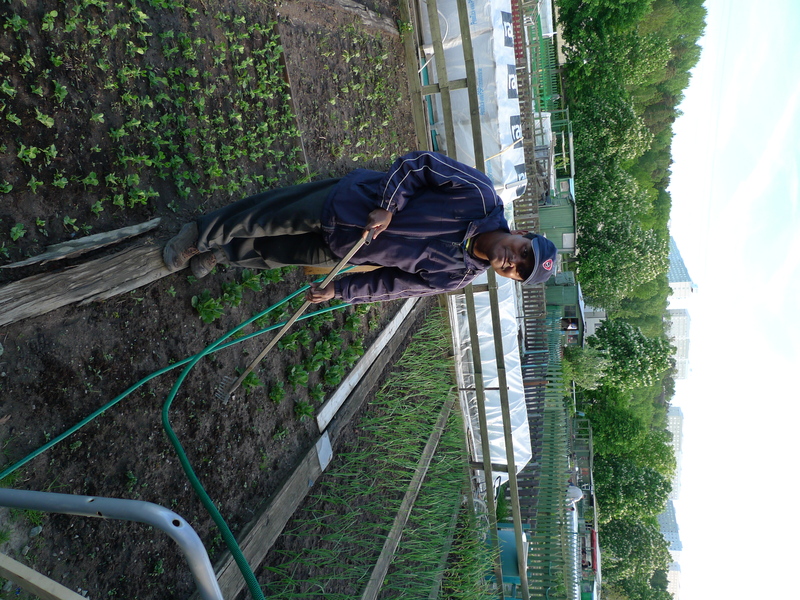 Here is Abul Kalam with his extra-long rake in his plot, which he’s had for about a year. 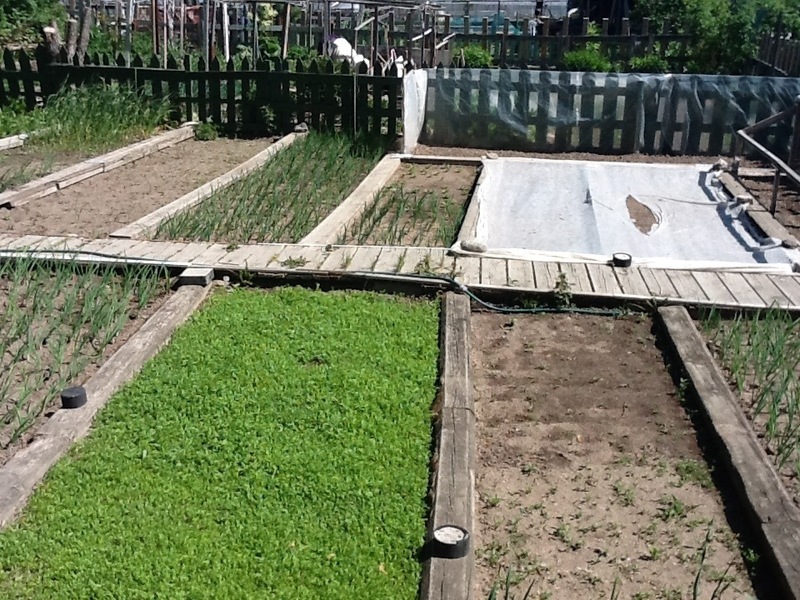 He grows onions, lettuces, radishes, potatoes, beans, and cilantro – which he says his family eats every day. They still cook traditional Burmese food for lunch and dinner, although he says they’ve begun to eat Swedish breakfast now like everybody else – not sticky rice with sweet yam, since sweet yam is one of the foods they can’t get here. 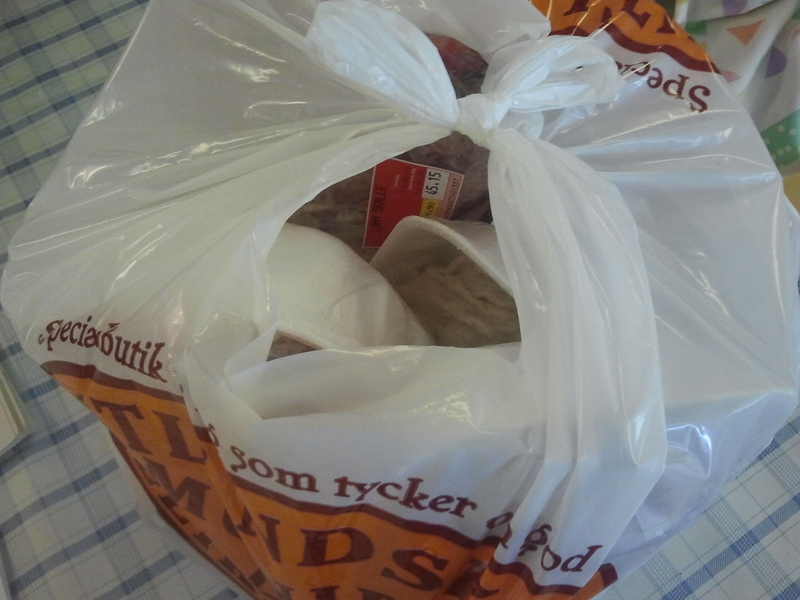 Like many Swedish immigrants, he says they can get almost anything they need at the supermarket, but he also listed a few things his friends bring from Myanmar or Pakistan (where he worked from 11 years old tying carpets before coming to Sweden as a Rohingya political refugee) – various kinds of eggplant, squash, yams, and chili peppers that don’t grow in Sweden. 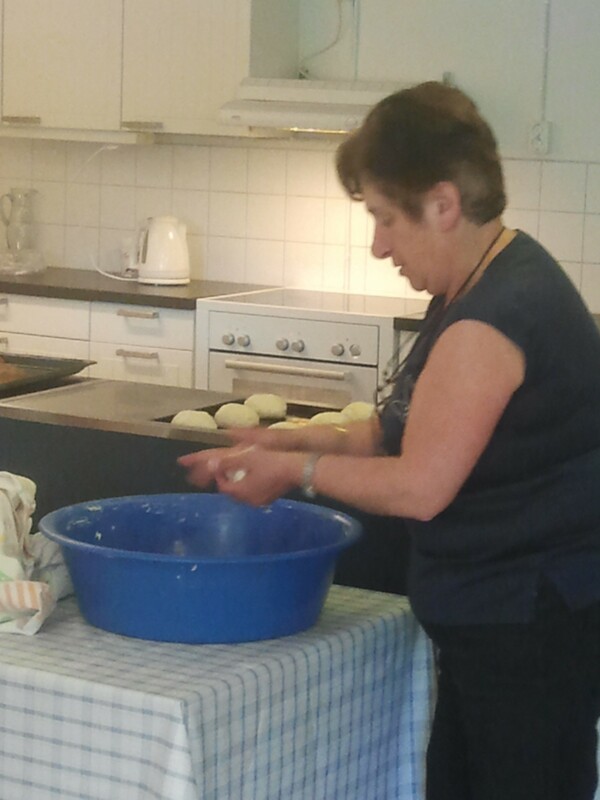 Above, Leila bakes bread to sell at Verdandi Women’s Center. 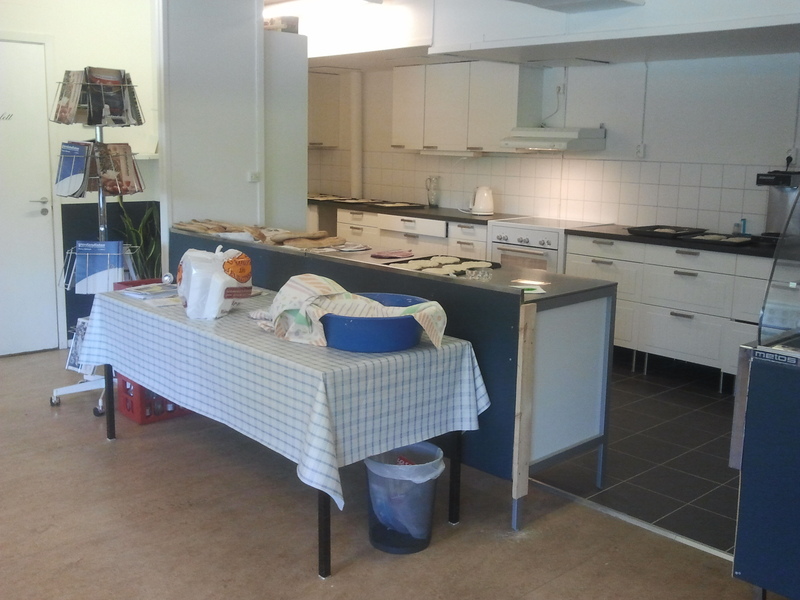 Women bake here every day, but the kitchen is not equipped to code for cooking, so they can’t have a complete cafe. 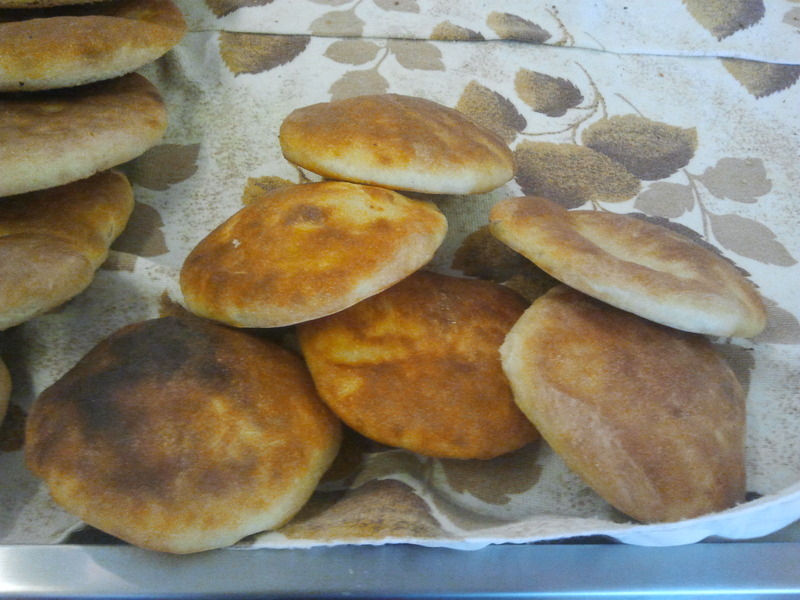 Instead, they sell bread, pirog, and other pastries as a part of the center’s activities for underemployed women. 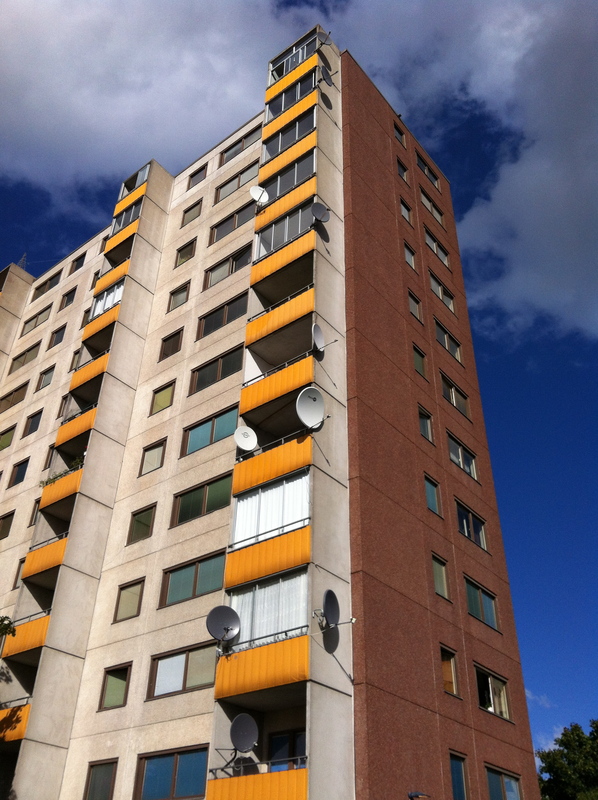 These include a secondhand shop, a weaving atelier, a sewing shop, and other job services. 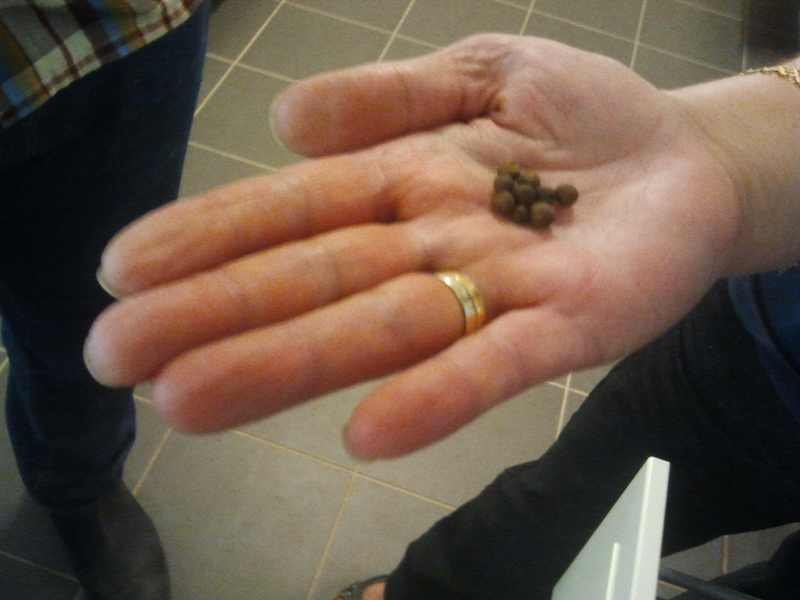 Leila holds out a handful of krudpeppar, a larger, milder black peppercorn than the ones we use in the United States. 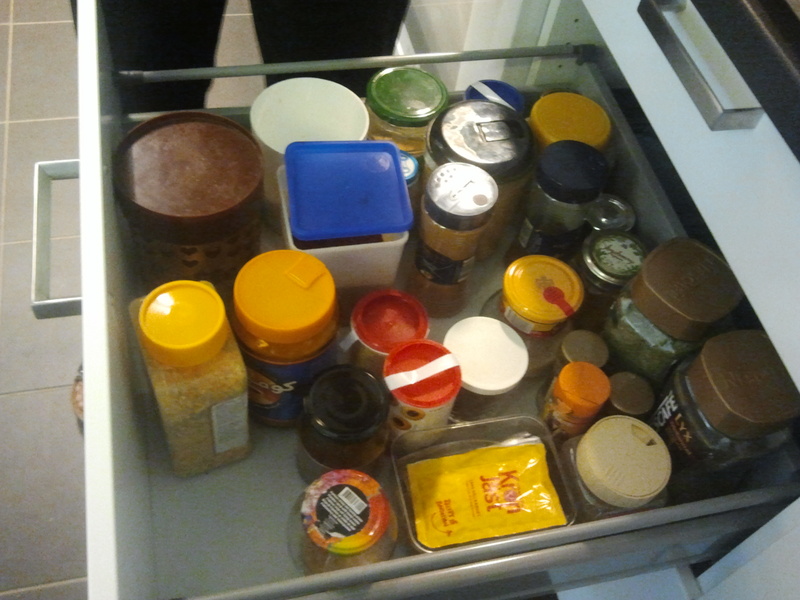 The spice drawer at Verdandi. This includes a spice rub for Sweden’s top summer sport – barbecue! 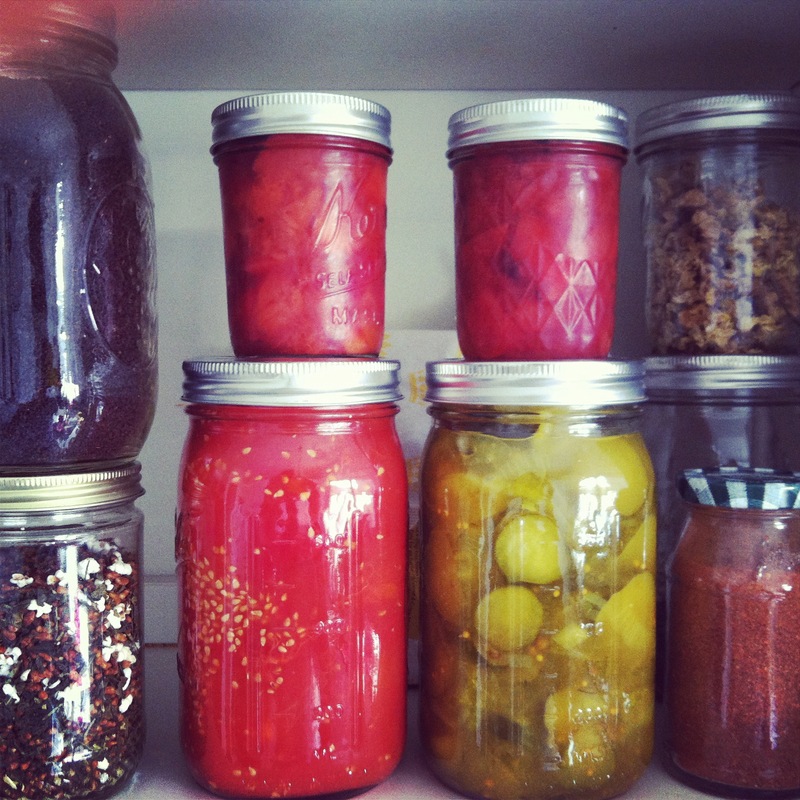 Leila also keeps several kinds of peppers and other spices on hand for Swedish and her own Turkish Assyrian cooking, which, she says, includes lots of casseroles, soups, and stews. Leila is a natural teacher, and as we visited with her at Verdandi, she told us how to make many dishes, including a morning broth made from the contents of her shopping bag above – lamb skulls and organs which she cleans well and cooks slowly to make a nutritious soup to eat in the morning with hard bread. 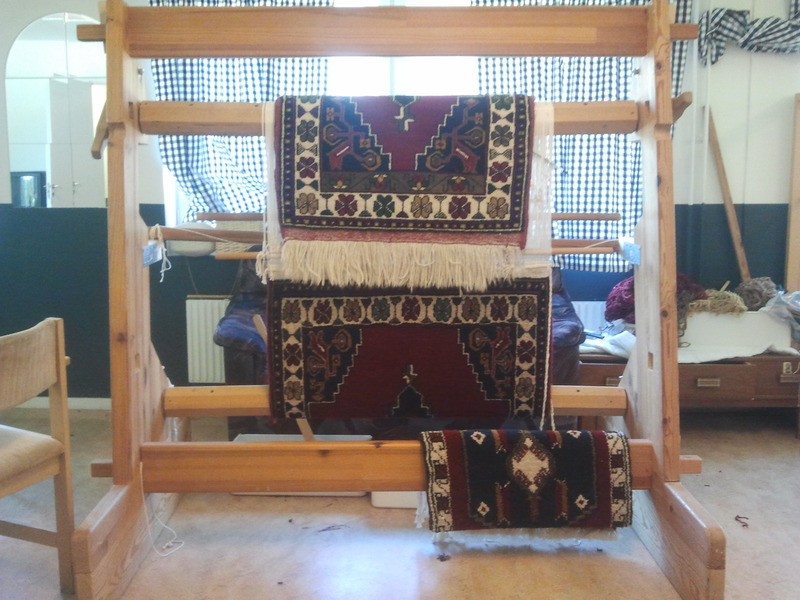 Verdandi’s weaving loom – a modified Swedish loom shortened and with another crossbar added to make Kurdish carpets. 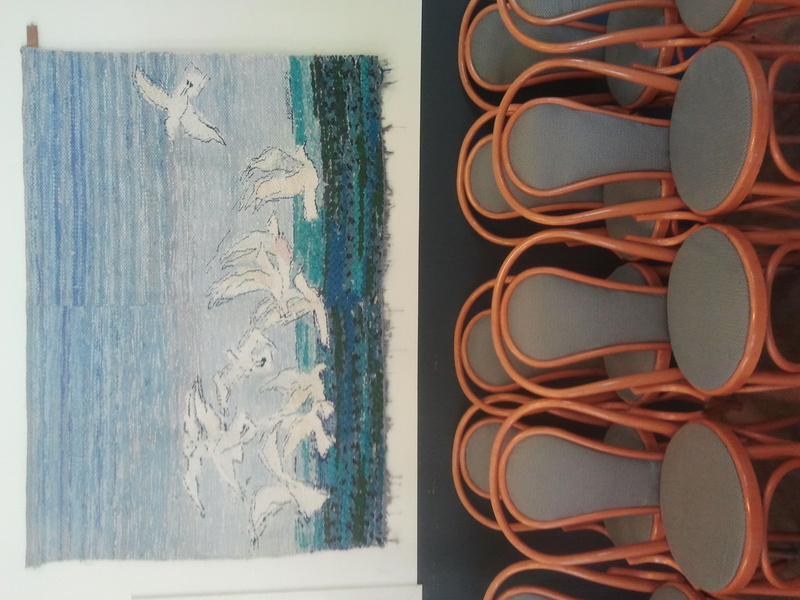 Women at Verdandi are practicing crafts and skills from regions as diverse as Turkey, Iran, Afghanistan, Kurdistan, Iraq, and many other parts of the world, including Sweden, which traditionally produces woven textiles like the one below.